Many of your patients may have already bought a topical pain relief cream from their local drugstore; or they may have been using one before they came for treatment. But with so many different types and brands of creams in the marketplace, how would they know which is best suited to their needs? The truth is, they don't. Remember, as a clinician, you're the expert here! Why not make these products easily available to patients at your clinic? This will allow you the opportunity to educate them on brands you feel are the safest and most effective for their symptoms. 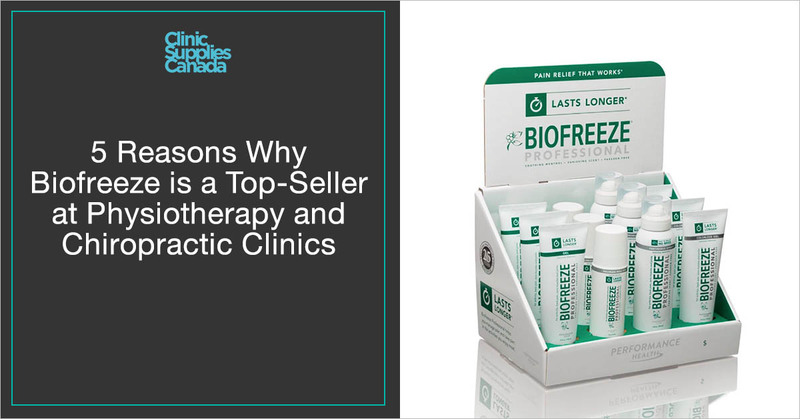 I’ve identified 5 reasons why Biofreeze is a Top-Seller at Physiotherapy and Chiropractic clinics. And where you can buy biofreeze online at the best prices in Canada. Patients are becoming more and more averse to pain medication. Would you take pain meds if there were other options? Why go through your stomach to target a sore neck or back? Pain medications can have unpleasant side effects, and some of those can be serious. They can cause problems from simple indigestion to stomach ulcers, kidney damage, depression and even stroke. Biofreeze professional is a safe alternative to pain medication. Biofreeze has been shown to have clinical efficacy when incorporated within treatment regimens in a variety of musculoskeletal pain conditions. The majority of studies use the visual analog scale (VAS) as the main outcome for pain. Biofreeze delivers pain reduction through cryotherapy, an established mechanism for treating pain. Many of your patients with musculoskeletal injuries will already be using ice to manage their pain. With so much conflicting information available on the use, application and technologies in the marketplace, how does your patient know if there are alternatives better suited to effectively manage their pain? They don't. Again, as a clinician, you're the expert here! Why not have cryotherapy products available at your clinic that will meet their individual needs and preferences? 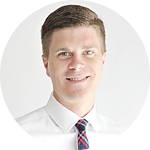 This will allow you the opportunity to educate them on alternative products (besides ice) that are safe and effective for your patients' injuries. Cryotherapy - the use of ice, cooling sprays, or topical analgesics - is often used for treating musculoskeletal injuries and pain. 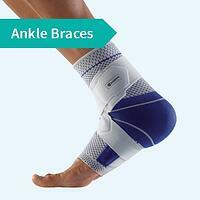 It creates a cooling sensation that overrides the pain sensation. Local effects of cryotherapy include decreased nerve conduction velocity; decreased sensation; higher pain threshold; decreased skin temperature, arterial vasoconstriction; superficial vasodilation; and decreased tissue metabolism. When ice packs are applied directly to reduce pain there are potential negative side effects: pain, numbness, burns, and frostbite. Biofreeze Professional provides the benefits of cryotherapy without the potential side effects of ice.2,3 Furthermore, many patients who are hypersensitive to temperature avoid using ice. If cryotherapy is an appropriate intervention but you don’t have alternative options available, what can you offer them? Biofreeze professional depresses the cutaneous sensory receptors in the skin².Patients note less discomfort with Biofreeze ingredients compared with ice³. In addition, the evaporation of alcohol and menthol enhances the localized cooling effect of Biofreeze. As clinicians, many of us will use cryotherapy methods as our first line of defence for pain in acute injuries. But cryotherapy tends to move down the option list for our patients for managing pain. Perhaps because we may not always see patients in the early acute phase of an injury, we associate ice with inflammation as the primary driver for pain. However, evidence supports cryotherapy as an effective pain management strategy, even in the absence of inflammation. Biofreeze Canada has been shown to be nearly twice as effective as ice packs for reducing pain and should be considered as a treatment option⁴. Especially if pain management is one of the goals in your patient’s care plan. Many clinicians use topical analgesics in combination with proven therapeutic interventions. Biofreeze roll on or biofreeze spray is suitable for use prior to a therapeutic intervention to reduce discomfort and pain, or afterwards to reduce post-treatment soreness. For example, Biofreeze is commonly integrated within soft-tissue massage, instrument assisted soft tissue mobilization, hands-on mobilizations/manipulations, and modalities, because of the cooling effect of menthol, a natural pain reliever, to sooth minor muscle and joint pain. Biofreeze is a non-greasy gel that penetrates the skin quickly, and is especially effective for use in conjunction with hands-on manual therapy. For example, cervical mobilization/manipulation can sometimes lead to post-treatment soreness in patients with neck pain. Bishop and colleagues compared the effect of applying Biofreeze and a placebo gel after cervical manipulation in patients with mechanical neck pain. They found a significant reduction in soreness up to 20 minutes after the manipulation in the Biofreeze group⁵. 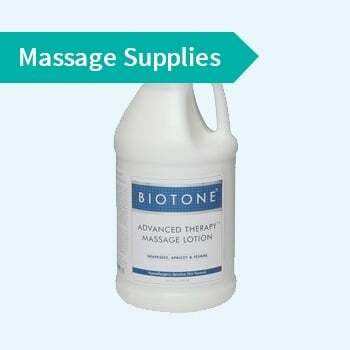 Biofreeze Canada has proven effective when combined with massage lotion/oils to reduce post-treatment soreness and/or offer an extended period of pain-relief following a treatment session. Biofreeze has been added to therapeutic ultrasound coupling gels to enhance their pain-relieving capacity. Furthermore, some clinicians use Biofreeze in conjunction with kinesiology tape. 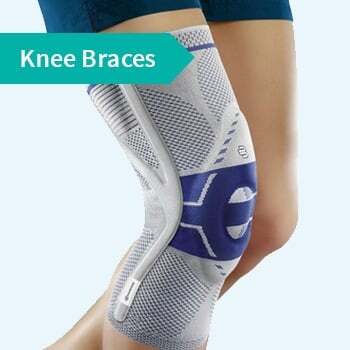 Due to its quick penetration into the skin, Biofreeze can facilitate the proprioceptive mechanisms of tape by adding more comfort and pain relief. 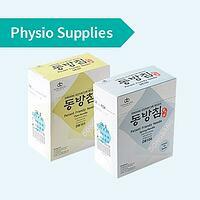 Pain-relief creams are characteristically easy for an individual to apply. However, if the location of the injury makes it difficult for the patient to apply, it is easy to teach a family member. Anecdotally, many clinicians have observed that a patient’s compliance to their home program improves following the retail purchase of a product, such as Biofreeze. Thus, Biofreeze may improve a patients' adherence to self-care recommendations and help alleviate their painful symptoms. Field and colleagues compared 20 patients with arthritis of the hand receiving hand massage with a standard lotion or with Biofreeze. The subjects received massage therapy once a week and were to continue self-massage at home the remainder of the week. After 4 weeks, both groups experienced significant decreases in pain, but the Biofreeze group had a clinically significant reduction in pain compared with the group that received the standard massage treatment⁶. Many clinicians emphasize that decreasing a patient’s pain is not their only goal. Decreasing pain facilitates home exercises, which increases the benefits at each rehabilitation(rehab) appointment. Home programs are the cornerstone of a successful rehab program and can promote development of a lifestyle modification focused on health and wellness. As clinicians, we must acknowledge that most patients seek care to eliminate pain and the associated fear and anxiety that accompanies these conditions. Home exercises are typically prescribed to patients at their first rehab session. And we know patients often report that home exercises are uncomfortable. Thus, it is important to implement strategies to reduce or eliminate this discomfort and pain to promote their compliance. Many clinicians recommend addition of a topical analgesic, such as Biofreeze roll on and spray as a successful strategy to improve exercise adherence. As home exercises are updated throughout the course of care, new exercises may again feel uncomfortable. Knowing that regular home exercises and progressions can help minimize potential “setbacks” during a patient’s course of care it is important to address any reoccurrences in pain. Biofreeze Professional may offer reassurance to a patient when adding new exercises and eradicate the fear and anxiety that accompanies a perceived “flare-up” in their symptoms. That said, clinicians should tailor the exercise programs to each patient’s individual needs and functional goals and know when to incorporate a product like Biofreeze. 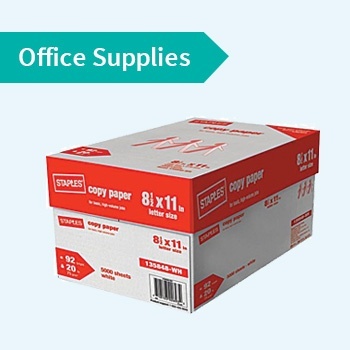 Using a product in your clinic helps demonstrate its value. You’re certainly not going to be recommending products if they aren’t needed, which is unethical. But, if the patient could get relief with a recognized topical analgesic cream, then it makes sense to help them with product selection. Right? When you incorporate a product within a treatment session, it will be because you think it will benefit the patient. 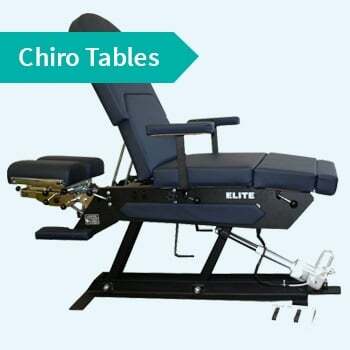 For example, during the treatment, you explain that sore muscles need to be loosened up with some soft tissue work and apply some pain relief cream to the local area prior to massaging the muscles. Later you might suggest they can purchase the product at the front desk. The patient can decide from there. It’s a fairly simple process that the patient will appreciate. Patients today are demanding new rights and exhibiting increased power in relation to their health and health service choices within a highly competitive market⁷. Patients may proactively seek treatment, are willing to pay for services that are not covered by insurance, and seek out therapeutic products that complement treatment, relieve pain or assist in at-home care. Understanding your patients' expectations and needs and addressing these during treatment can not only influence their subsequent health-related behaviour but will contribute to a positive clinical outcome and a more favourable evaluation of the whole therapeutic experience⁸. Clinicians are better able to act in the best interest of their patients if they fully understand the ‘needs’ and ‘expectations’ of each individual patient. Why not make products such as Biofreeze Professional easily available to patients at your clinic? A tube of Biofreeze can be purchased for under $20, which makes it a value-based price and affordable for the majority. The Canadian public has come to expect that products and services should be available when and where they want them.⁹ Combine that with a marketplace that influences patients by way of home shopping channels (i.e., Dr. Ho), big box stores pricing (i.e., Shoppers Drug Mart) and Dr. Google, your patient may purchase products without receiving the proper education by a skilled clinician. 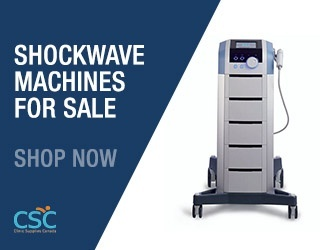 Take the opportunity to appropriately educate your patients on the safest and most effective products for the care of their musculoskeletal conditions. Don’t leave them trusting and relying on anything other than your expertise. You can bio Biofreeze Professional 4 oz Spray or Biofreeze Professional 3 oz Roll-On. 1 U.S. Food and Drug Administration. External analgesic drug products for over-the-counter human use; tentative final monograph. Federal Register. 1983;48(27):5852– 5869. 2 Topp R, et al. Comparison of the effects of ice and 3.5% menthol gel on blood flow and muscle strength of the lower arm. J Sport Rehabil. 2011;20(3):355– 366. 3 Topp R, et al. Topical menthol, ice, peripheral blood flow, and perceived discomfort. J Athl Train. 2013;48(2):220– 225. 5 Bishop BN, et al. The effect of Biofreeze on post manipulation soreness in patients with mechanical neck pain: a randomized double-blinded controlled trial. Paper presented at: proceedings from the 14th Annual TRAC meeting 2012, St. Johns, Newfoundland Canada. 6 Field T, et al.Massage therapy plus topical analgesic is more effective than massage alone for hand arthritis pain. J Bodyw Mov Ther. 2014;18(3):322– 325. 7 Sheppard, S. (2004) Consumer Needs for Physiotherapy Services in Canada. National Physiotherapy Advisory Group Project: National Vision for Physiotherapy Services in Canada (2015). 8 Hills, R & Kitchen, S. (2007) Toward a theory of patient satisfaction with physiotherapy: Exploring the concept of satisfaction. Physiotherapy Theory and Practice Vol.23, No.5 Pages 225-271.